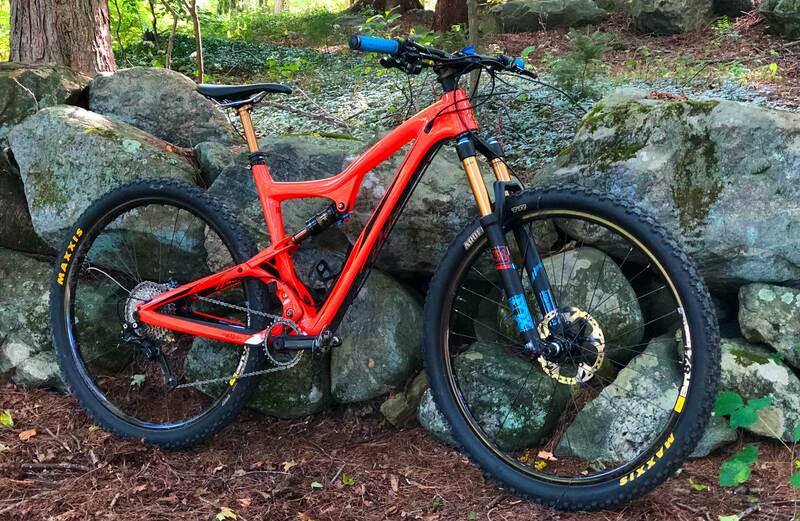 When I had my local bike shop, Class Cycles in Southbury Connecticut build my Ibis Ripley LS a dropper seatpost was not part of the build list. It would have added a bit over $500 to the build and I wasn’t interested. Fast forward nearly 3 years to summer 2018 and things have changed. 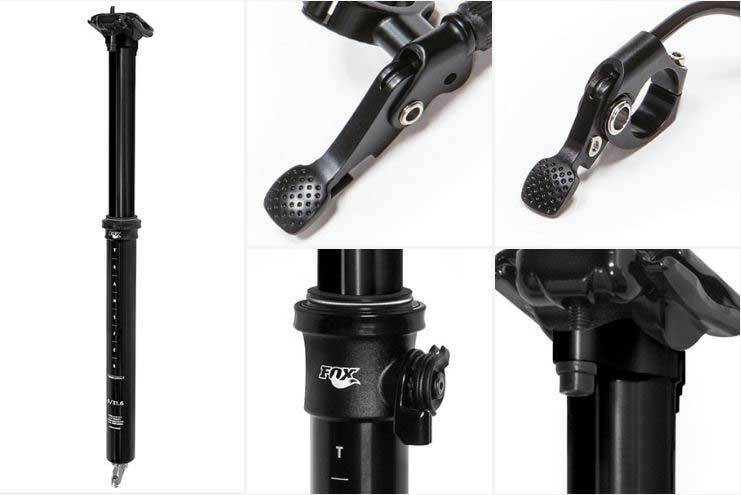 I have found my riding would greatly benefit from a dropper seatpost, the Fox Transfer Dropper Seatpost to be exact. The team at Class Cycles suggested we go with the Factory Series Fox Transfer Dropper Seatpost. The factory series features the gorgeous and super slick gold Kashima coating which matches the other Fox suspension components on the Ibis Ripley. While I’m not typically cares about looks I’m not going to lie the seatpost takes an already great looking bike to a new level. It was worth the extra expense. We also went with the internal routing model as the Ibis is setup for that. for some reason this model takes a little longer to get and is often listed as out of stock. Below is what we bought for my bike. Anyhow on to a brief review. 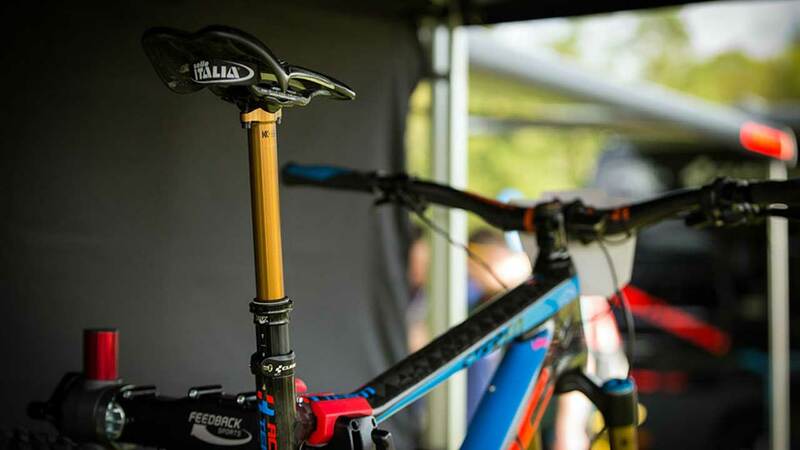 The seatpost is well made, installation is easy (see the video below). The action is very smooth and controlled. Once used to the feel of the actuator it’s easy to proportionately control how fast and far down the post goes. The post returns full up in an instant without any stiction. The Kashima Coating looks great and works as advertised. Conventional hard anodic film is normally porous and low to moderate wear resistance, and there are more chances of abrasion and wear, caused by failure of lubrication in higher pressure, vibration, and friction areas. Kashima Coat with lubricating property and higher resistance characteristics was researched and developed by Miyaki Co., to prevent such problems. Kashima Coat is a proprietary hard anodizing processing that Miyaki Company of Japan has invented, lubricating molybdenum disulfide deposited via electrical induction into the billions of micro-pores on the surface of hard-anodized aluminum for better lubrication and less abrasion and wear. There are about 70 billion of anodic cells in 1 cm2with molybdenum disulfide deposit and penetrated into micro-pores from the bottom of each cell per right picture, and Kashima Coat improves on lubrication and corrosion resistance of conventional hard anodizing and other common types of coating such as Teflon, Graphite, and Tungsten disulfide. Deposit crystallization of molybdenum disulfide improves on lubrication of hard anodized aluminum film in sliding or piston movement areas without lubricant. Kashima Coat improves on corrosion resistance by 4~5 times of chromic surface.In salt spray test (5%35℃) of Kashima Coat minimum 50µm thickness, no rust was detected even after 1,000 hours of its testing. Molybdenum disulfide improves on lubrication and sustains lower friction even at higher temperature of 300 Celsius (6 intervals of 10 min. heating) Kashima Coat can also prevent melting and scuffing in high-temperature automotive applications such as engine pistons. Electrical breaking voltage of conventional hard anodizing is approx. 1 µm per 10 voltages, but Kashima Coat improves on electrical resistivity by 50% and erosion by overheating. Kashima Coat is suitable for insulating parts for computer applications as well. 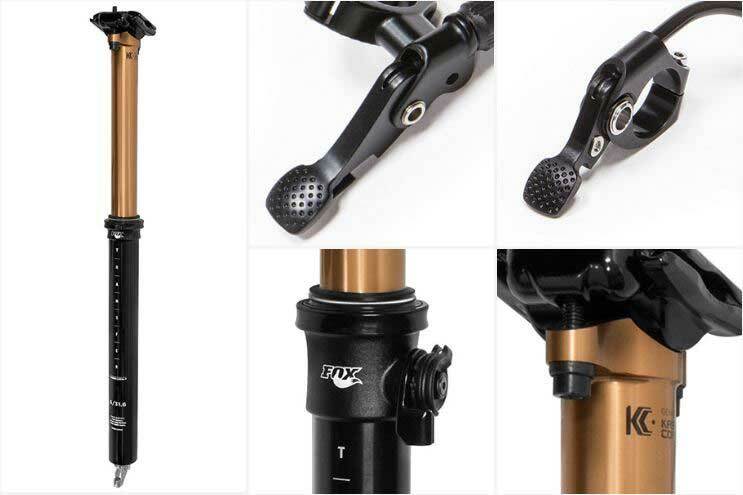 The award-winning Fox Transfer Dropper Seatpost features an infinitely adjustable design with the choice of internal or external cable routing, three drop options, and two lever designs. Low lever force and great modulation make it easy to regulate return speed and small height adjustments. Summary The Fox Transfer Dropper Seatpost is an outstanding addition to a mountain bike and worth every dollar it cost. Operation is smooth and deliberate and performance is flawless. Buy with confidence.